Jon Gordon is a New York Times bestselling author, corporate trainer and speaker who specializes in the topics of leadership, culture, sales, and teamwork. 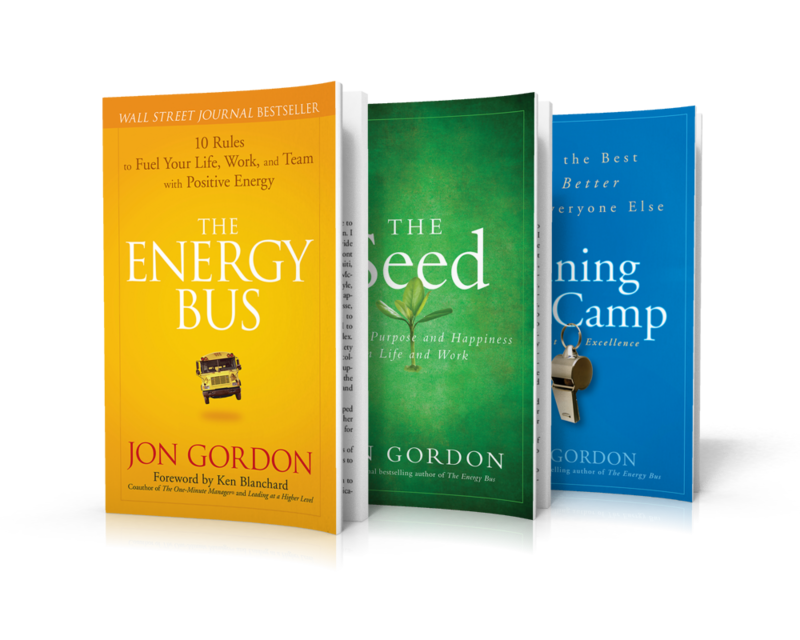 He is mostly widely known for his best-selling books, The Energy Bus – 10 Rules to Fuel Your Life, Work and Team with Positive Energy and The Power of a Positive Team – Proven Principles and Practices That Make Great Teams Great. Throughout Jon’s career, he has worked with many top tier athletic organizations including The Los Angeles Dodgers, the Pittsburgh Pirates, the San Diego Padres, the Miami Heat, the Oklahoma City Thunder, the Atlanta Falcons, the Clemson Tigers, the Philadelphia Eagles, etc. Jon has also worked with Fortune 500 and well-known American brands such as Campbell Soup, Wells Fargo, Publix, Southwest Airlines, Bayer, West Point Academy, Northwestern Mutual and more. Jon earned degrees from Cornell University and Emory University. The Today Show, CNN, CNBC, The Golf Channel, Fox and Friends, and other major media outlets.